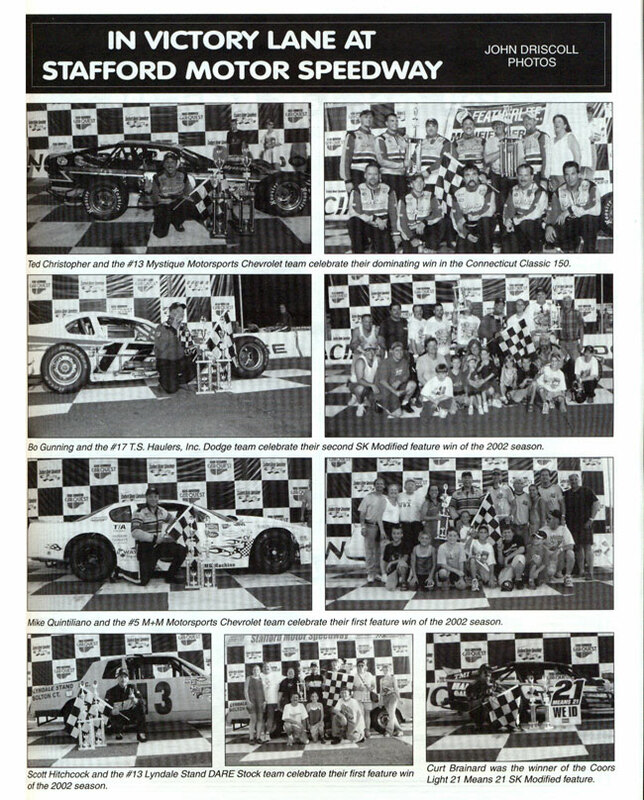 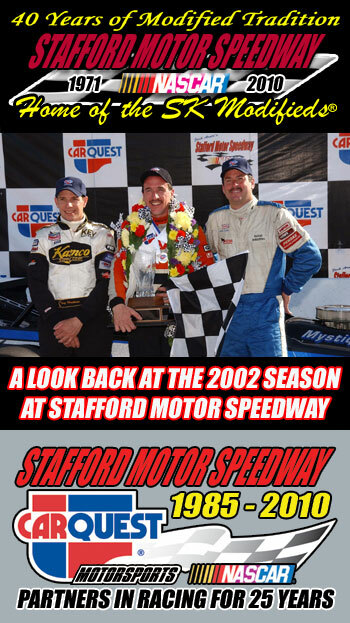 2002 was the 18th season of the Stafford Motor Speedway / CARQUEST Auto Parts relationship. 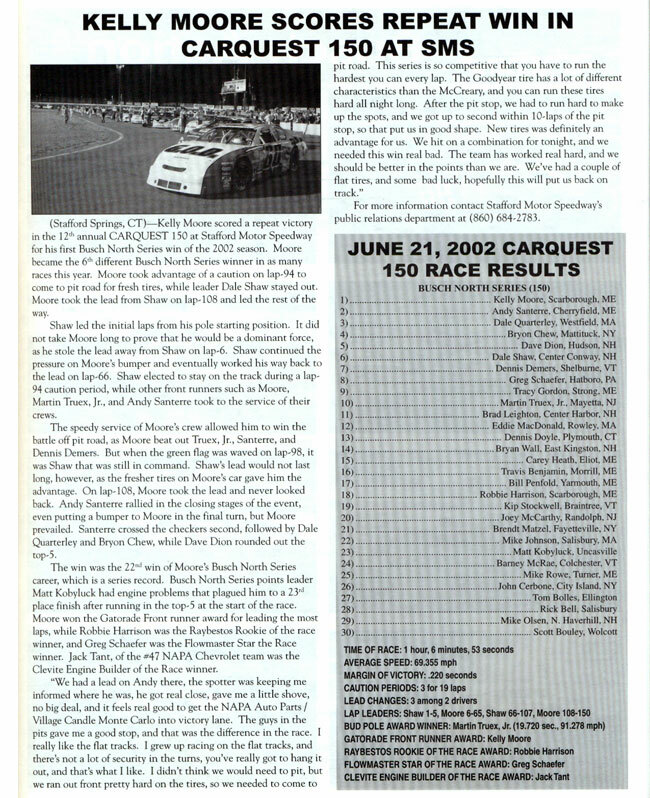 CARQUEST Auto Parts was once again the title sponsor of the Whelen Modified Tour Spring Sizzler and the CARQUEST Fall Final, as well as the CARQUEST 150 Busch North Series event. 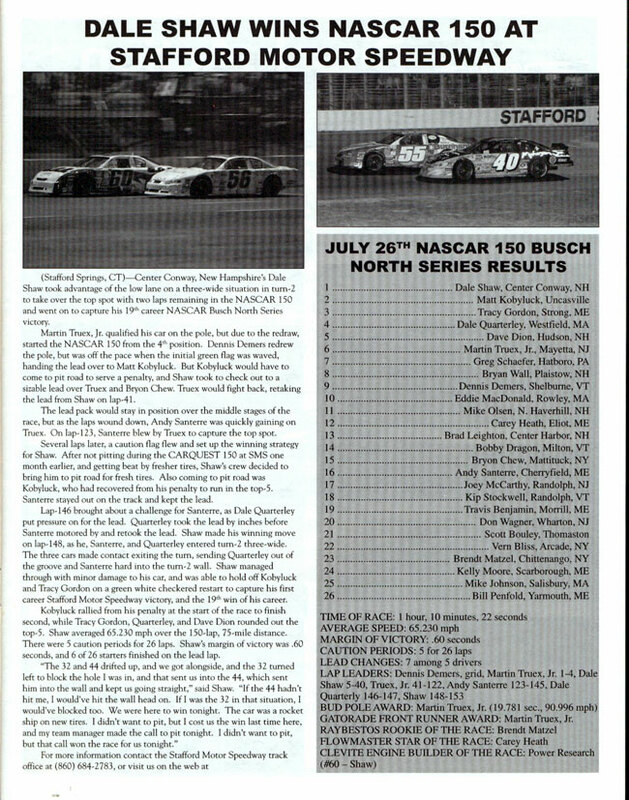 Thanks to CARQUEST Auto Parts, the Fall Final was split from a 300-lap NASCAR Whelen Modified Tour event into twin 150-lap events for the Whelen Modified Tour and Busch North Series cars, marking the first time the two divisions would share the spotlight at Stafford. 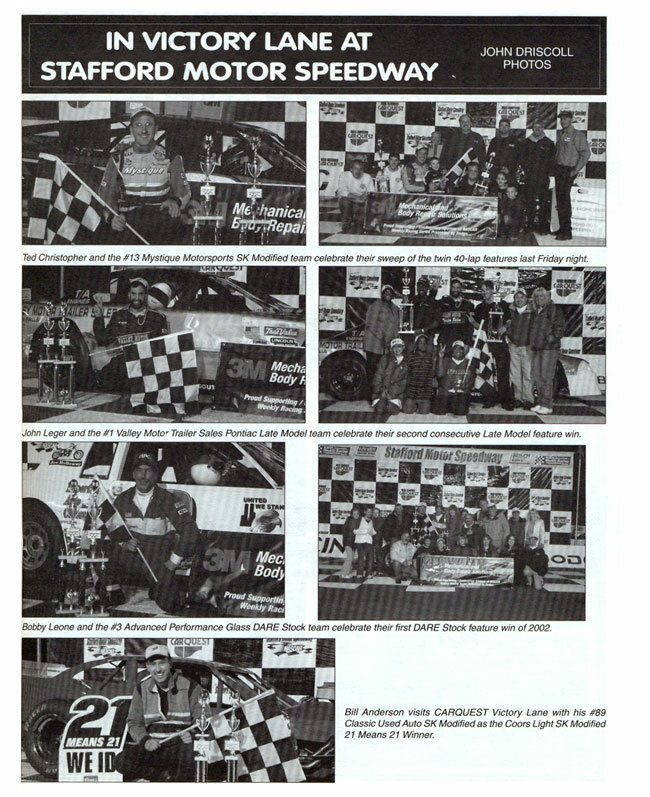 CARQUEST also continued their support of Stafford’s weekly divisions with a $150 bonus to each SK Modified® feature winner and a $125 bonus to each Late Model feature winner. 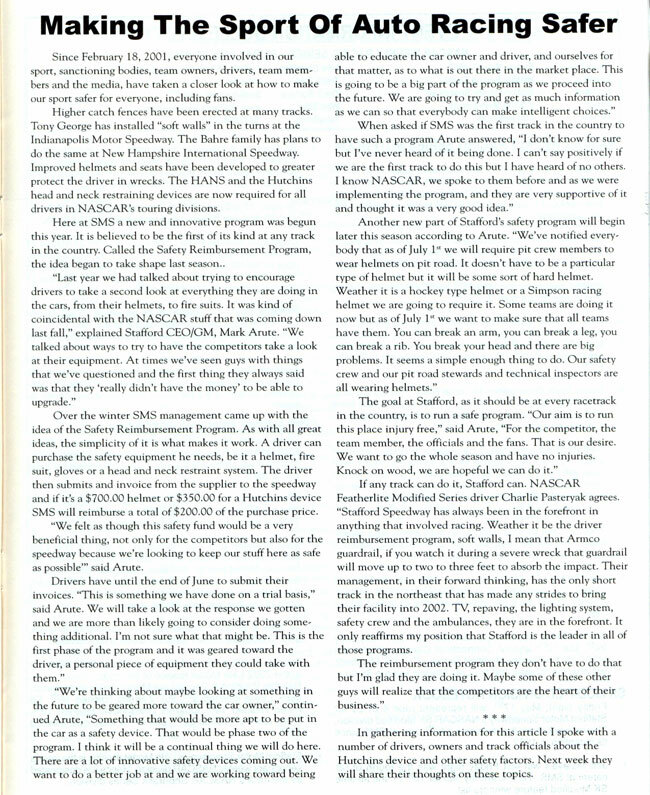 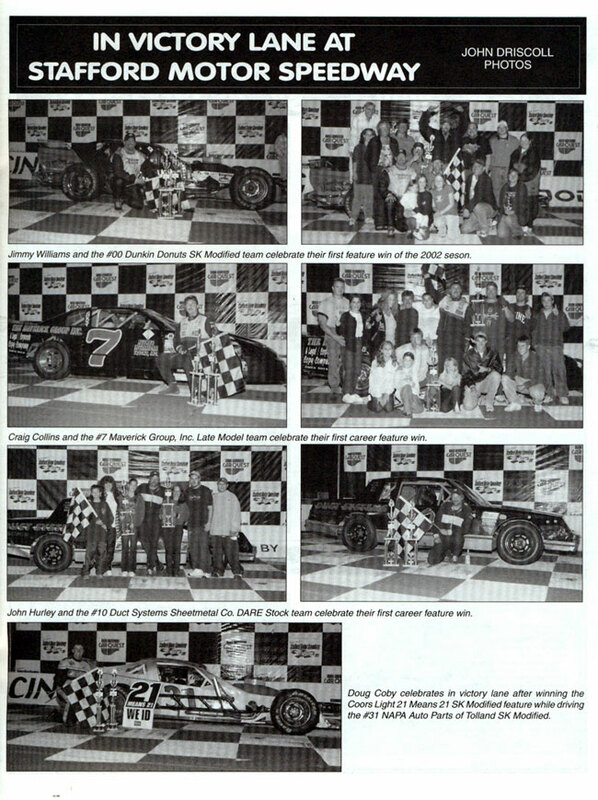 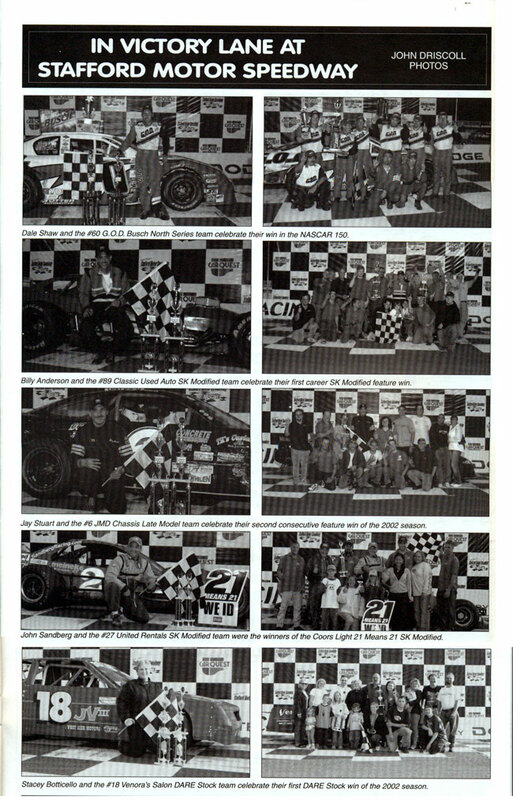 Another innovation for the 2002 season was the institution of the Safety Reimbursement Program. 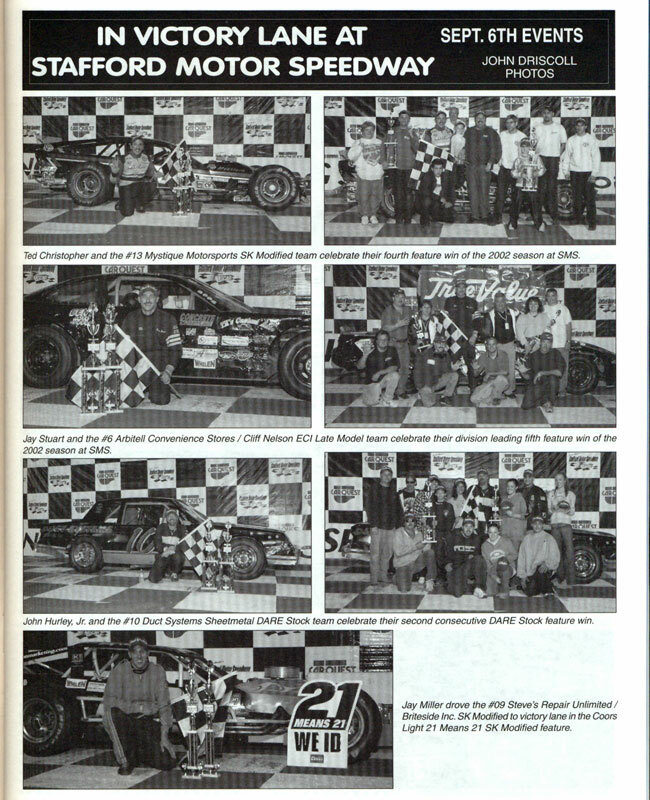 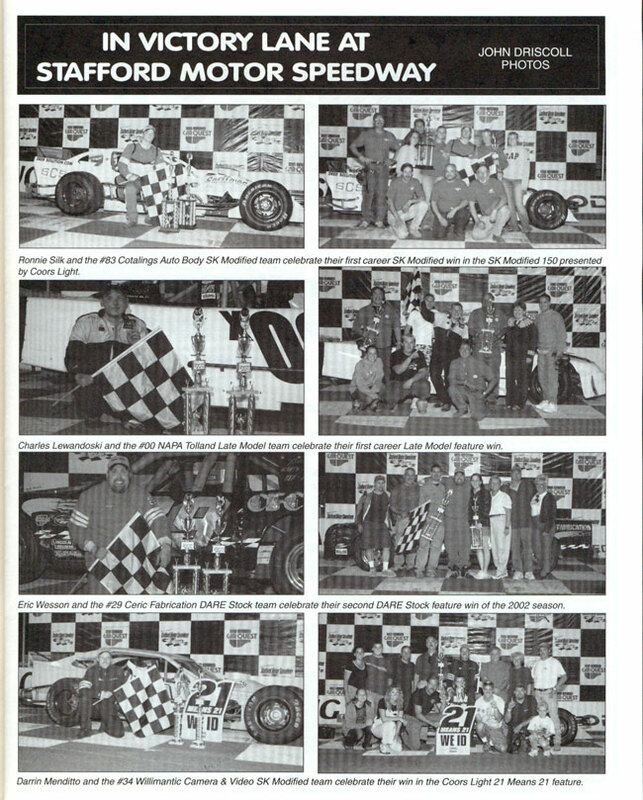 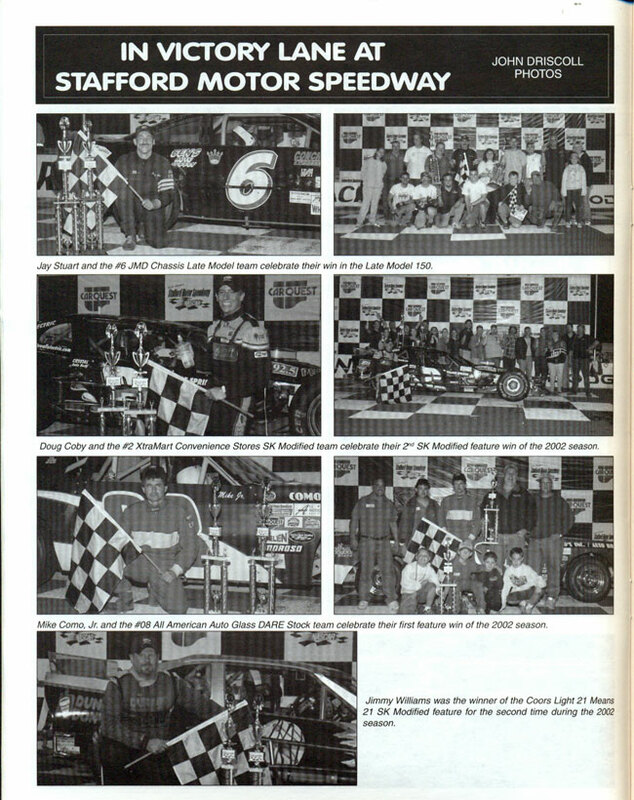 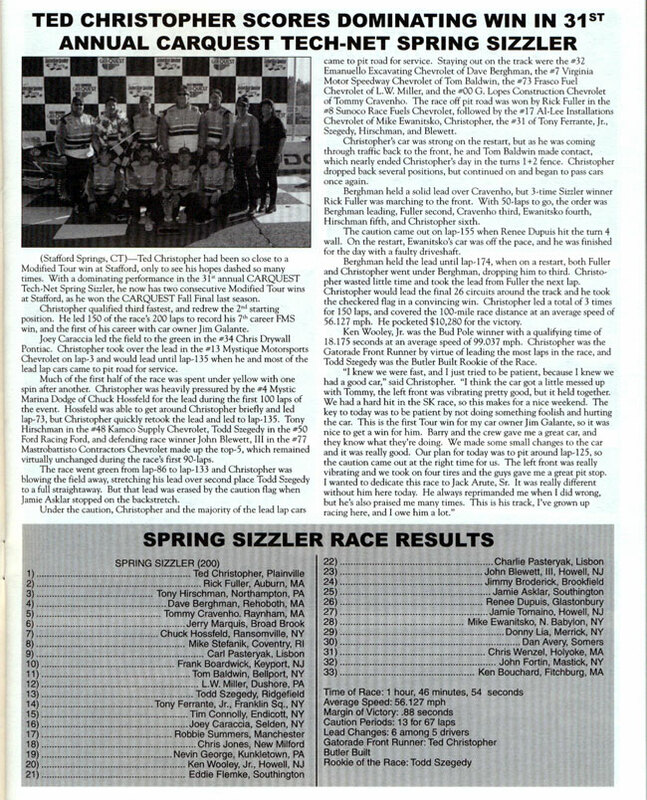 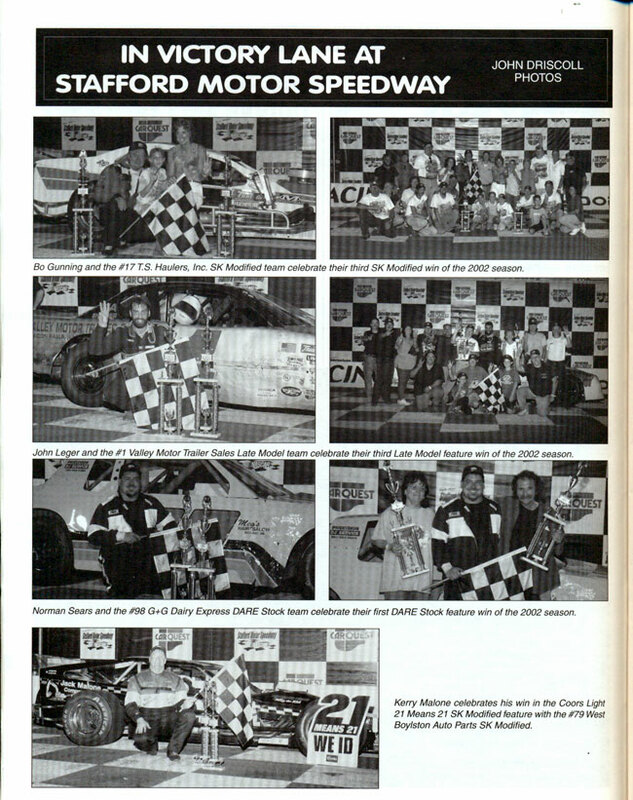 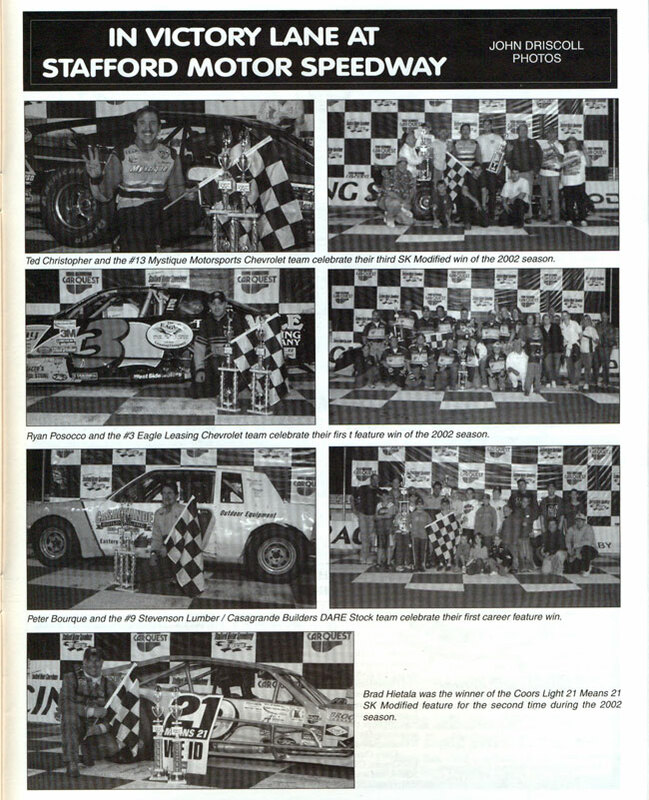 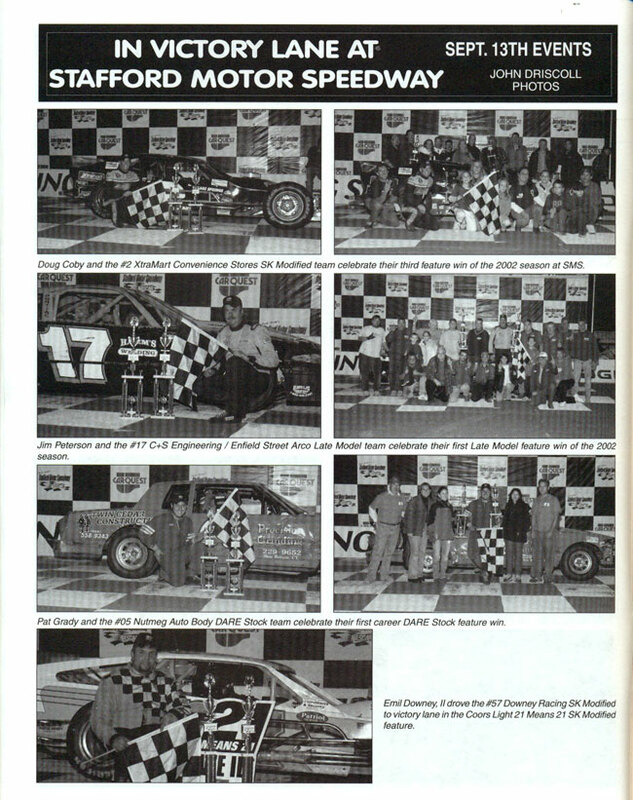 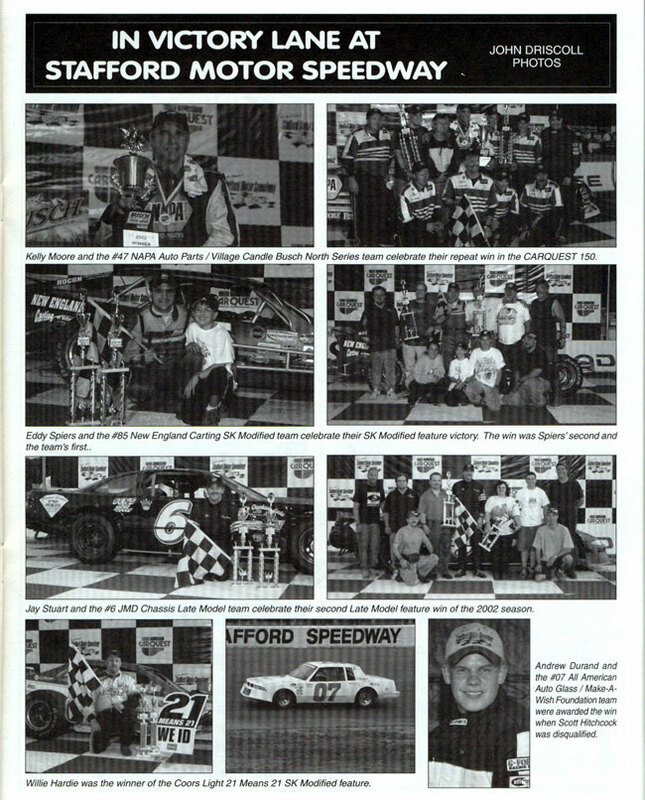 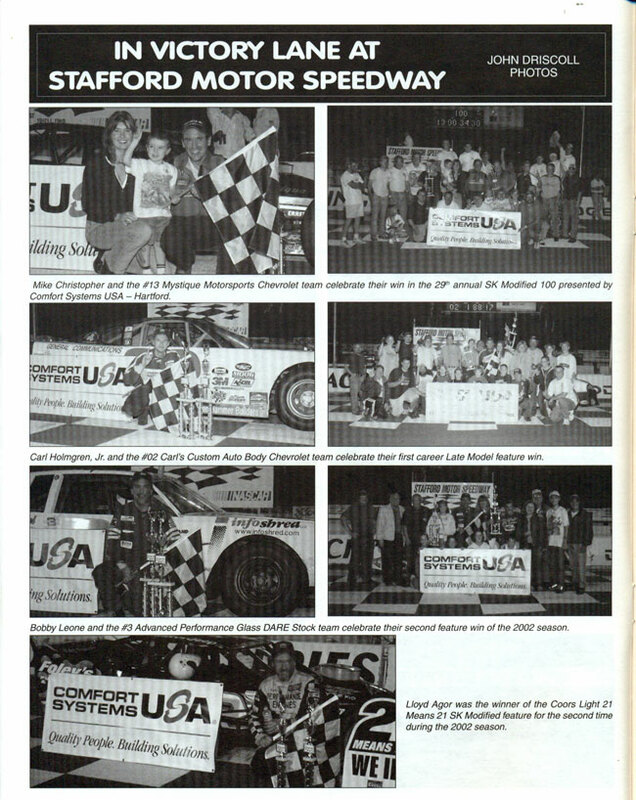 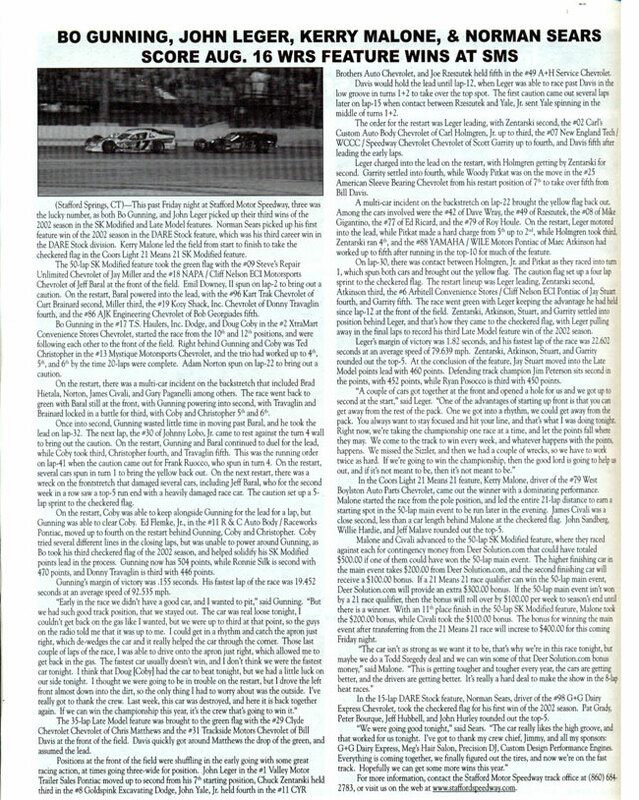 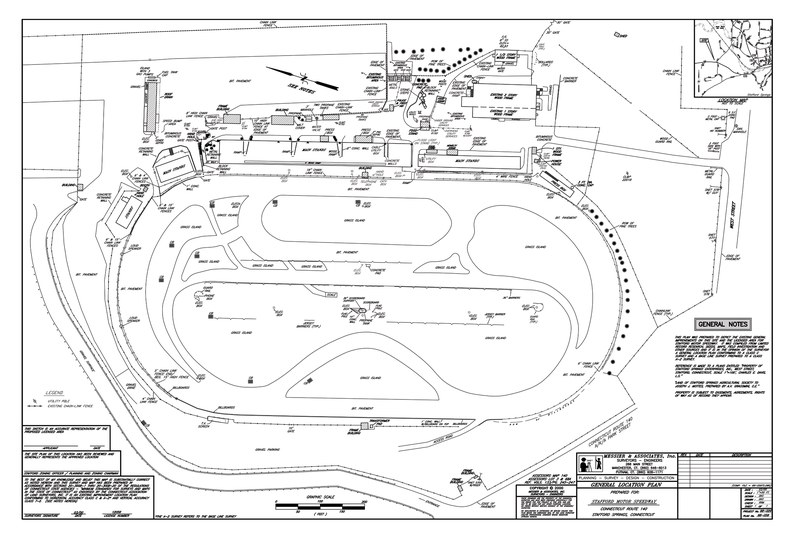 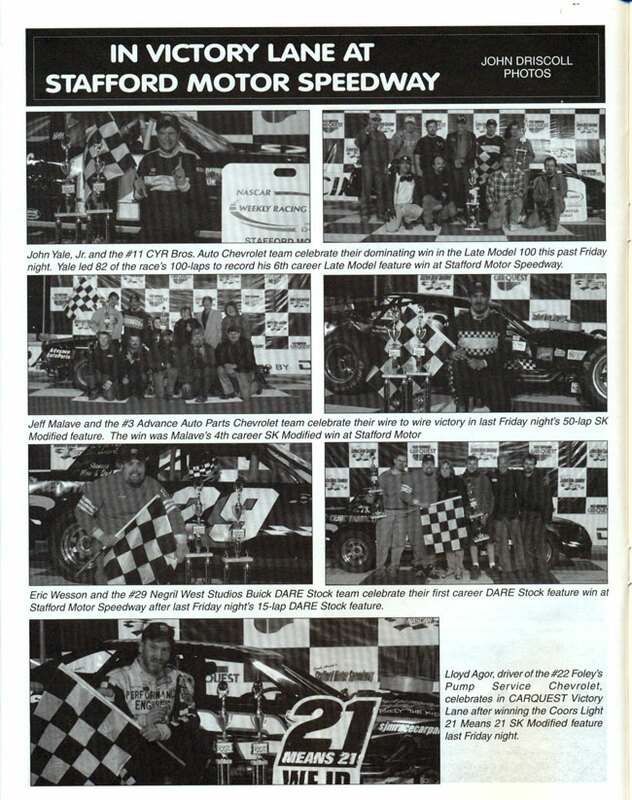 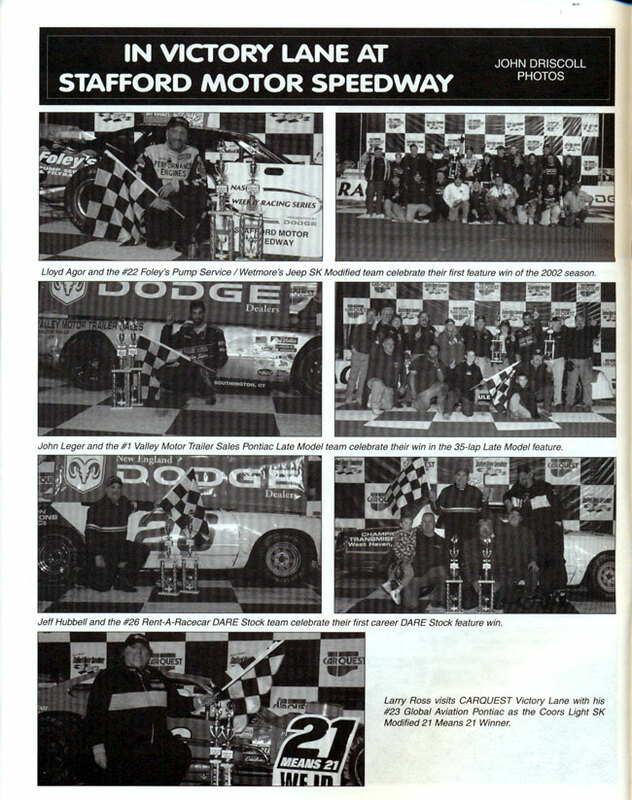 From the 2001 off-season through the end of June 2002, Stafford competitors could purchase any safety item and submit the invoice to Stafford Motor Speedway to receive a $200 reimbursement for the safety item. 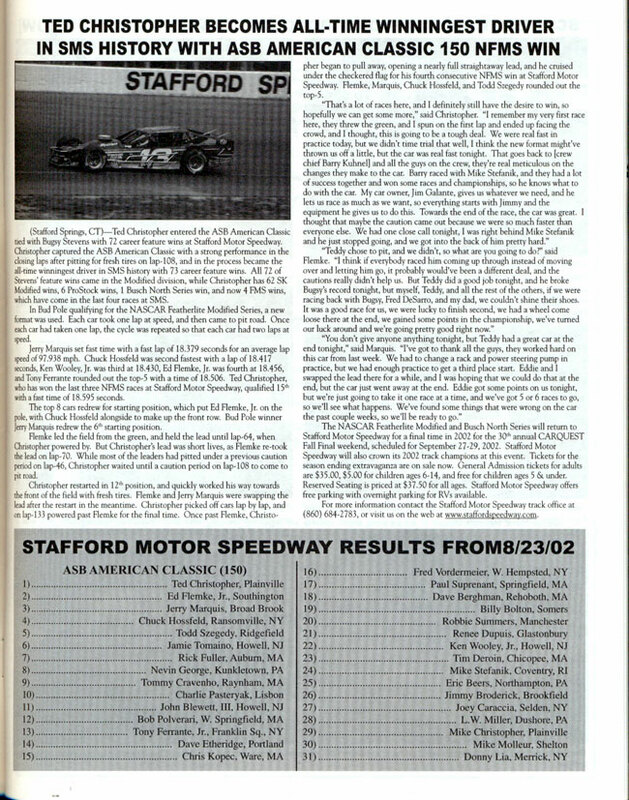 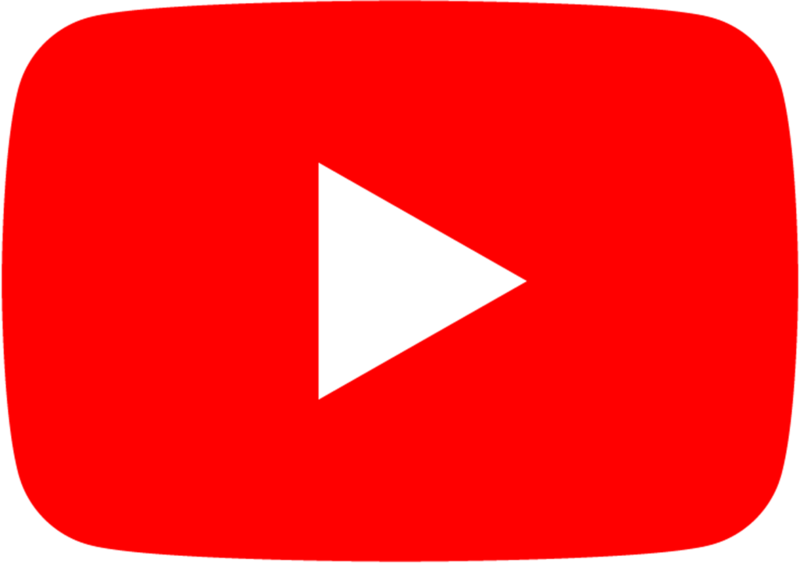 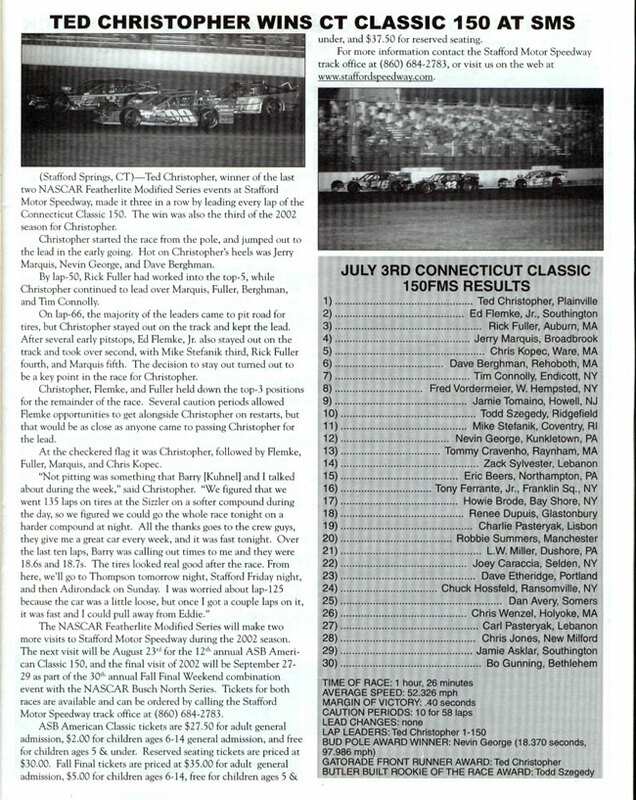 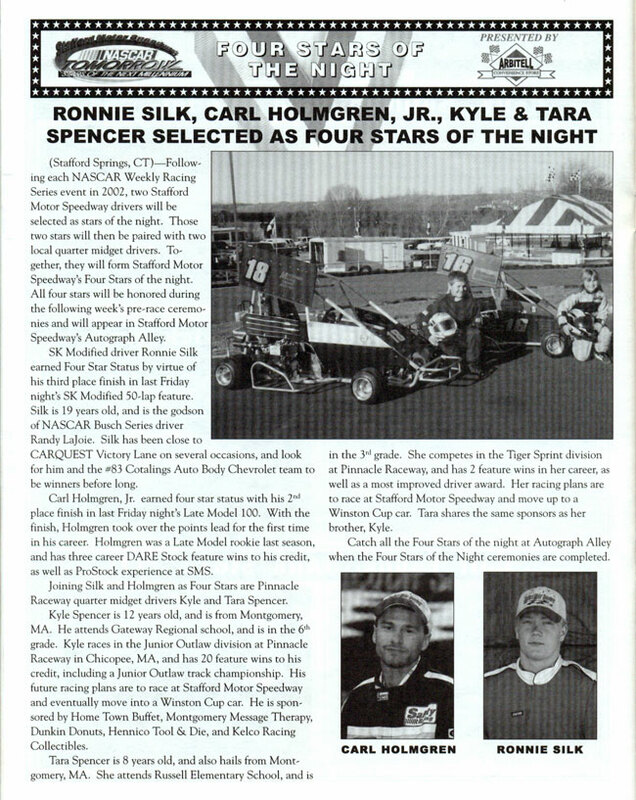 Stafford Speedway also made its television network debut, airing its NASCAR New England program on the New England Sports Network (NESN), the TV home of the Boston Red Sox and the Boston Bruins. 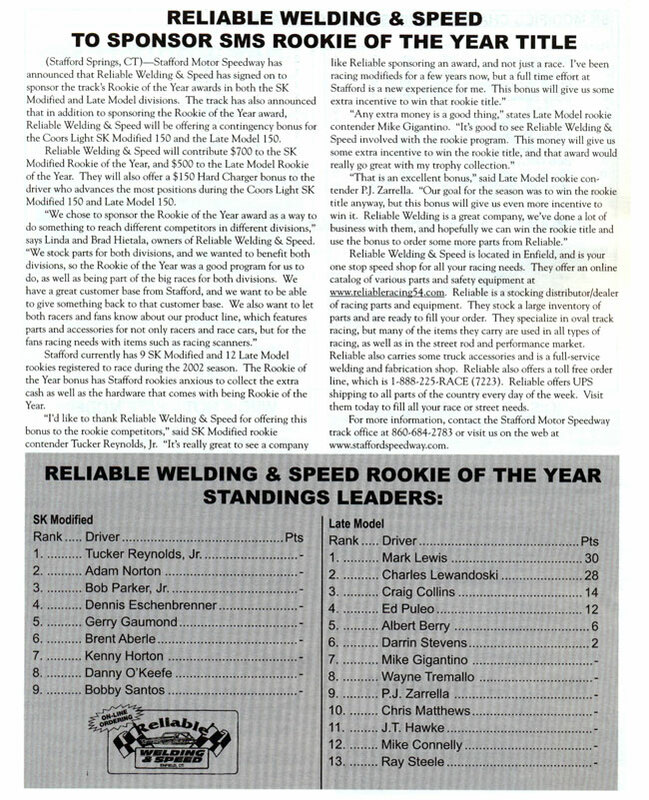 Reliable Welding and Speed of Enfield signed on with Stafford Speedway to become the title sponsor of the track’s Rookie of the Year program. 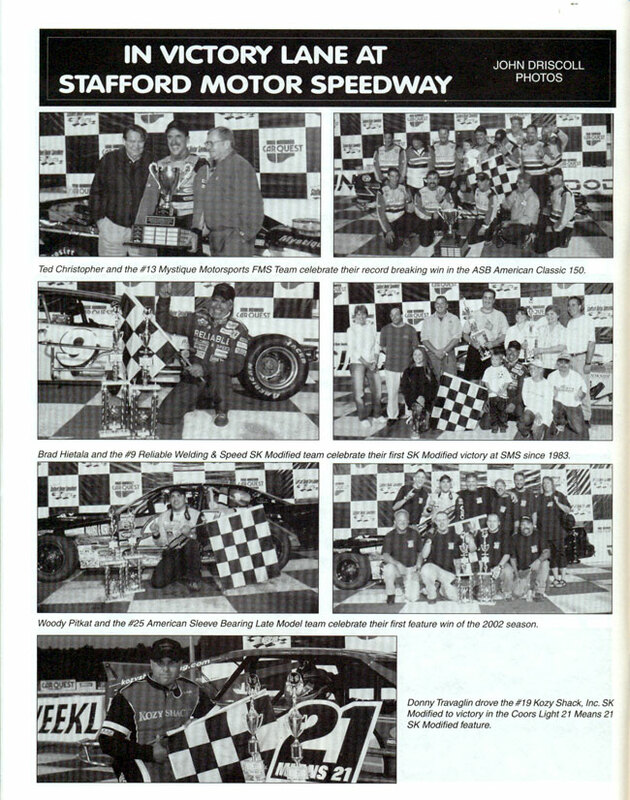 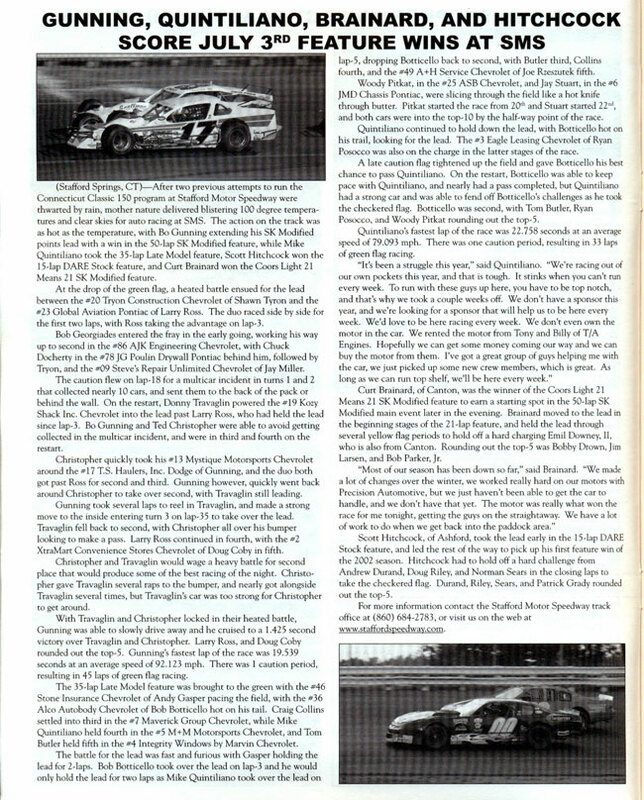 Track champions were Bo Gunning in the SK Modified® division and Jim Peterson in the Late Model division.